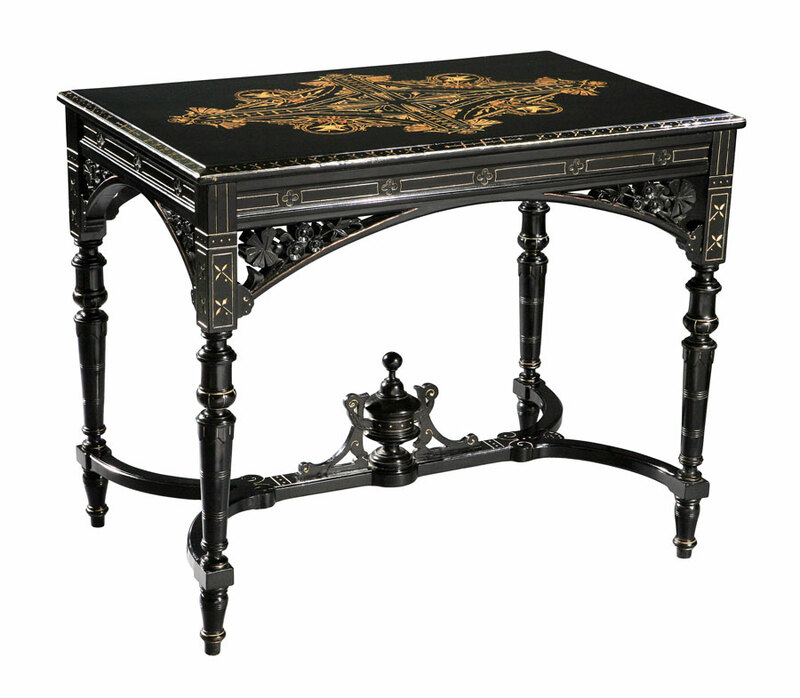 To a fine quality ebonized cherrywood aesthetic movement center table. 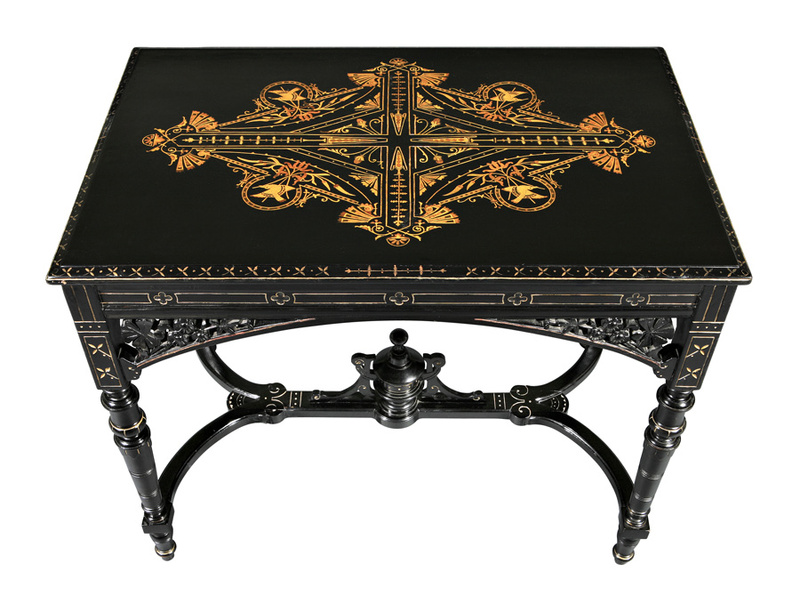 The top inlaid with arabesque and bird design. This light wood inlay is exceptional and in good condition. The frieze and leg capitals have incised carving in the gothic manner. The four legs are turned and supported by hand carved brackets with leaves as found in Herter Brothers furniture. The four legs are joined with a carved stretcher centered with a freestanding urn. which is also original. The piece retains gilt highlights.